bebop spoken here: Book Reviews: Andrew Cartmel - The Run-Out Groove & Victory Disc. Book Reviews: Andrew Cartmel - The Run-Out Groove & Victory Disc. 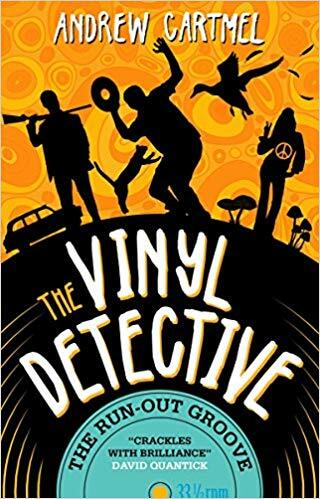 I discovered The Vinyl Detective earlier this year* although Andrew Cartmel's creation had begun gumshoeing down the mean streets of London and beyond since 2016 in search of rare vinyl records. I was so delighted with the story and the character(s) that I set off down those same mean streets myself in search of the two follow-up novels. 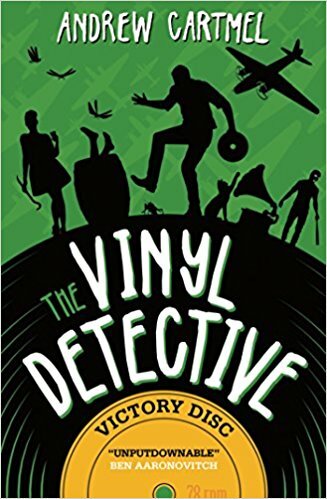 This proved to be considerably easier than searching for a wartime V Disc or the child of a legendary rock singer who committed suicide years ago which are two of the challenges facing our musical sleuth in these latest adventures. Yes, much easier - they were on the shelf at Waterstone's! Those who read the first book will be pleased to know that the more endearing characters, including the cats, are retained and the action, to misquote the extract from the Crime Time review which is printed on the novel's back cover, whips along faster than the 78rpm speed of the elusive Victory Discs our hero seeks out in the third book which is the jazzier of the two. Having said that, the detective's love of jazz, his girlfriend - Nevada - and the two cats, Fanny and Turk, are ever present making both books indispensable to anyone who likes to mix murder and music in quadrophonic sound. *Andrew Cartmel - Written in Dead Wax. Andrew Cartmel - Victory Disc. Titan Books ISBN: 9781783297719. (2018). Also, look out for Flip Back, due in 2019. Brilliant books which I discovered a while ago. I can't wait for the next one but I will have to I suppose.